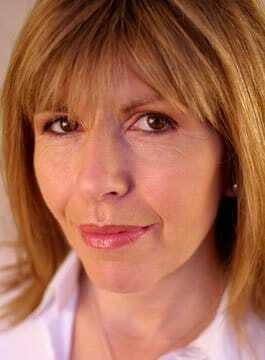 Maggie Philbin OBE is a Broadcaster, Keynote Speaker, Conference Presenter and Facilitator. Maggie has worked on science, medical and technology programmes for over 30 years ranging from Tomorrow’s World to Bang Goes The Theory. Her television career also encompasses Hospital Watch, Bodymatters Roadshow, QED, and BBC2’s women’s documentary series The Doll’s House. Maggie has worked as a medical and consumer reporter for ‘This Morning’ on ITV, filmed reports for BBC’s current affairs programme ‘4×4’, studio pieces for BBC One ‘The One Show’ as well as a series of 20 programmes called ‘Heartland’ for Channel Health. She presented 40 editions of the science programme ‘Wideworld’ for Channel 5 and spearheaded the BBC’s “Talking Teenagers” project across television and radio. If one theme runs through Maggie’s career, it’s a talent for handling “live” shows. This has made her popular in the corporate sector where her diverse range of broadcasting skills is a valuable asset for conferences, business presentations and corporate television. With an ability to discover a story before it is a story, her research abilities and attention to detail, Maggie Philbin is a phenomenal reporter. Maggie’s professional presentation reaches out to every viewer and listener, drawing them in and making the story ‘their’ story too. One of the very best in her field. Alongside her ability to deliver the most complicated story in an engaging and watchable way, Maggie Philbin has great people skills and can make the most nervous guest feel relaxed comfortable and happy to tell their story. From teenage mums to nuclear physicists, from captains of industry to technology geeks – Maggie will get the best out of them. Maggie Philbin is well known as being a ‘very safe and inventive pair of hands’ for fronting major conferences throughout the country, with an impressive amount of very satisfied clients. In 2017, Maggie was awarded an O.B.E. in the New Year’s Honours list for her services to the Science, Technology and Engineering Community. She is President of the Institute of Engineering Designers and co-founder and CEO of TeenTech an award winning organisation helping young people, their parents and teachers understand more about the real opportunities in Science, Technology and Engineering. Drawing on her unique experience with some of the greatest innovators and inventors of all time, Maggie Philbin talks with great humour, authority and style about the key ingredients of innovation and forward thinking in business. Maggie has a unique resonance with audiences who not only watch her now on BBC Breakfast News but also grew up with her on the legendary Saturday morning children’s show “Multi-Coloured Swap Shop”. Maggie is well known for her involvement in the promotion of women in business, science and technology.